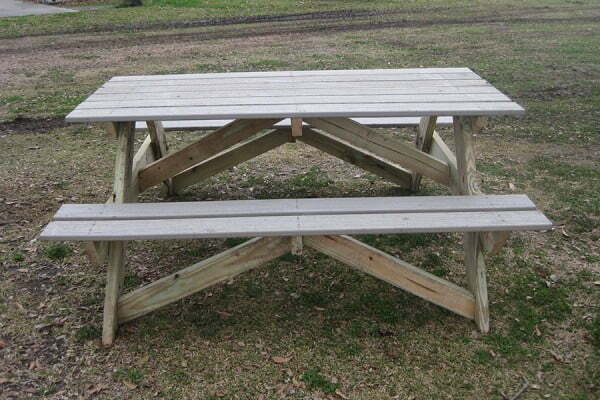 Build these great DIY picnic tables with relatively straightforward plans on the cheap. Use these 26 ideas to get inspiration. When the weather gets better, it’s time to go outside to your backyard or garden and spend some quality time with your family in the fresh air. 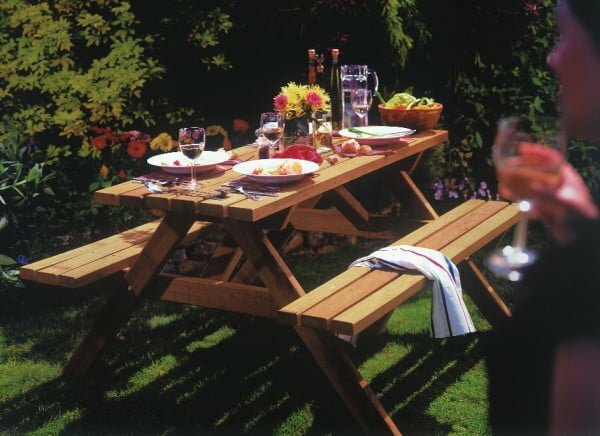 One of the options you have for outdoor accommodation is a picnic table. Check out these project ideas with plans (you get variations for adults and kids too). 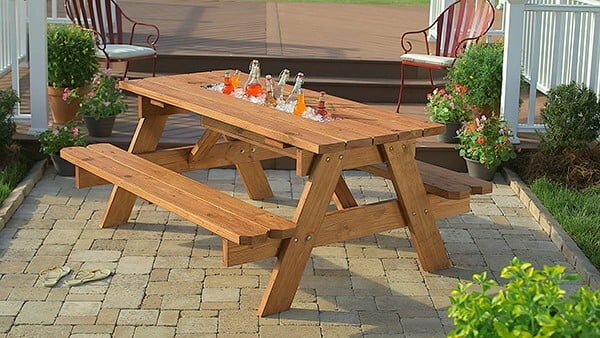 Use cedar boards to make a table and benches fit to host family and friends for years to come. Check out the tutorial to find out how to do it. 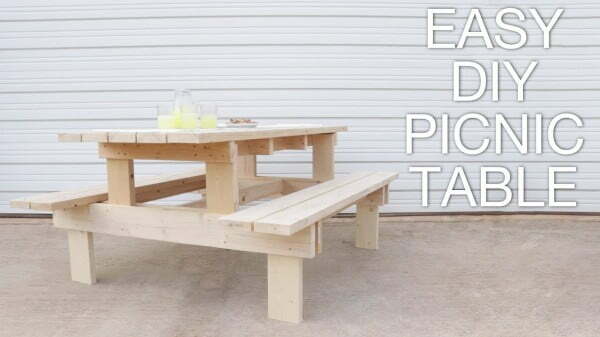 This Easy DIY Picnic Table is so incredibly simple to make. 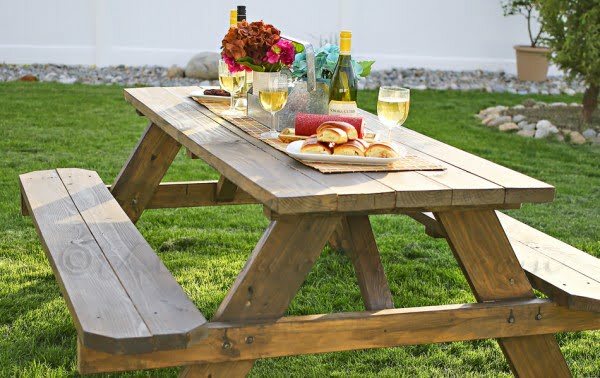 Just 30 minutes or less to assemble, add weatherproof stain, and you’re ready to dine al fresco. See the article to learn how it’s done. 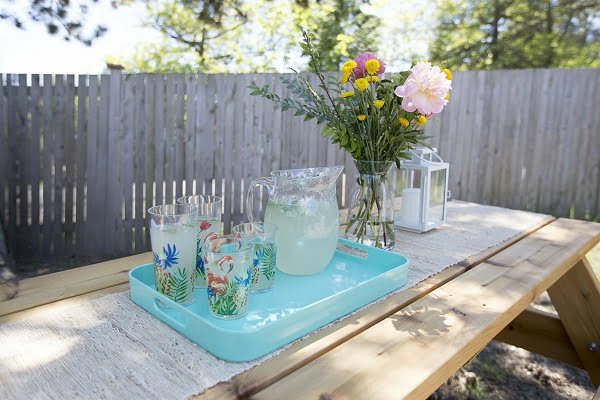 What can make a DIY picnic table even more delightful? A built-in tabletop cooler bin with a replaceable cover. See the article to find out how to do it. Learn how to build a picnic table in just one day with this easy-to-follow tutorial. 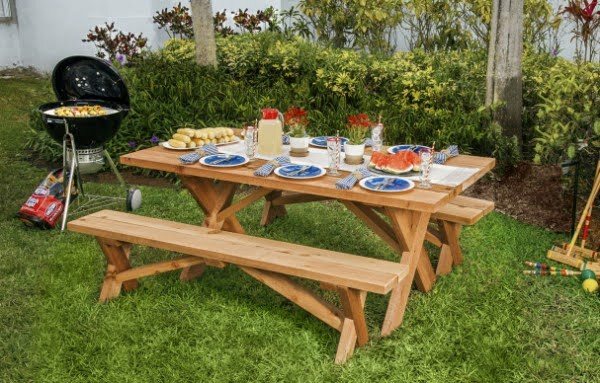 This professional-quality wooden picnic table, made with a composite, is sturdy, simple, and holds up great. Follow this website to see the full details and instructions. 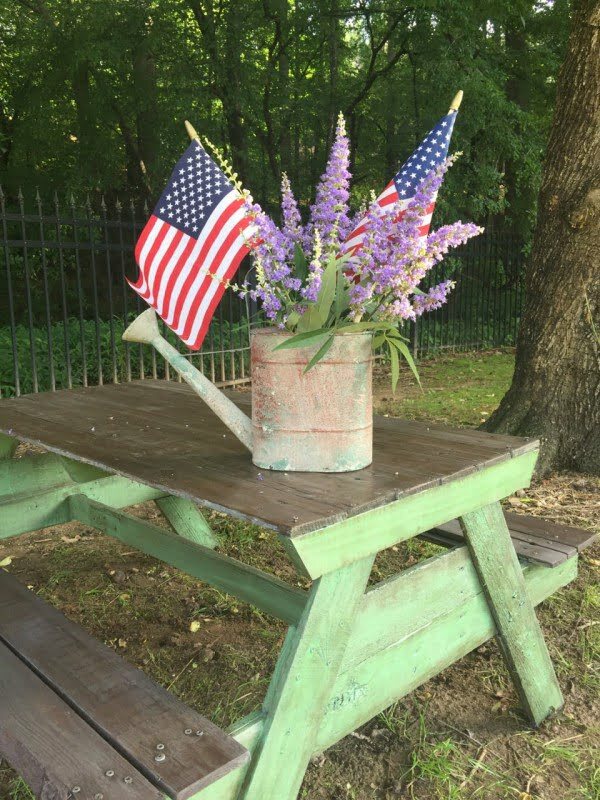 With long summer days on the horizon, we show you plans and simple instructions to build a durable, attractive picnic table in just one weekend. Follow the tutorial for the entire details. 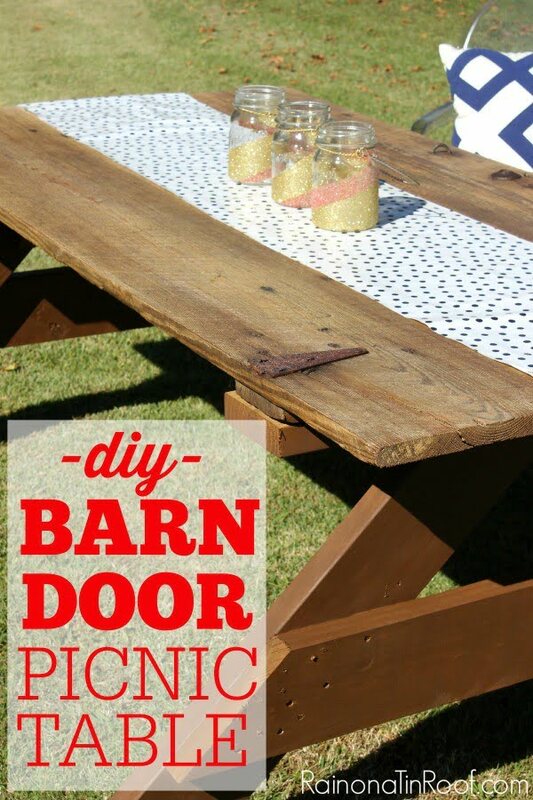 Have a barn door lying around? It may make the perfect tabletop on a picnic table. Follow the link for the complete plans and instructions. 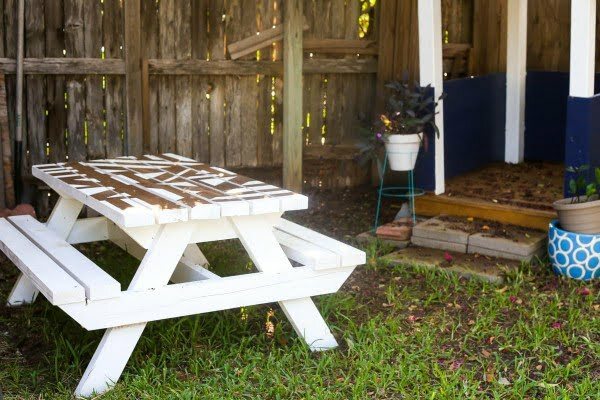 With a minimal set of objects, you can do this simple DIY project to create a unique and cheap Pallet Picnic Table. Check out the link to learn how to do it. 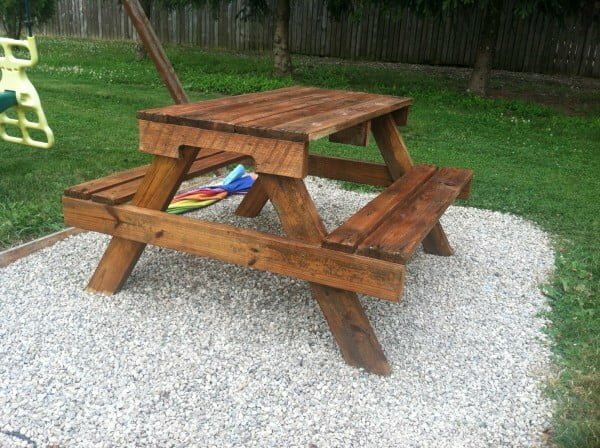 Build a DIY picnic table for a simple project idea. See the link to find out how it’s done. 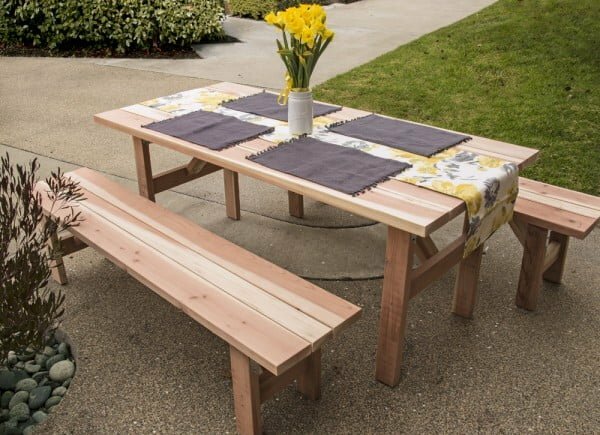 Learn how a first time DIYer made a DIY picnic table and benches perfect for a backyard BBQ. See this website for the complete details and instructions. 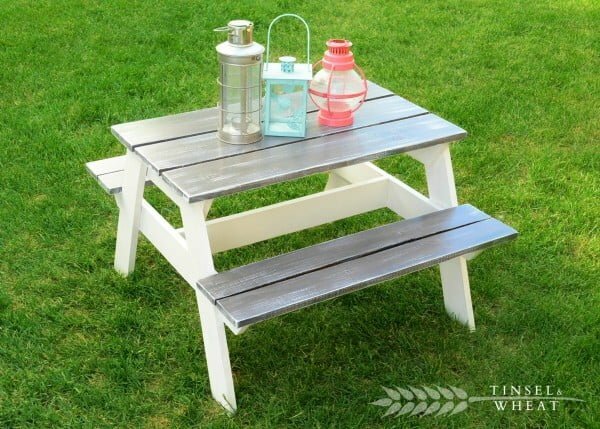 What an excellent DIY kids picnic table from pallet wood you can also make the easy way. Follow the article to see the full plans. 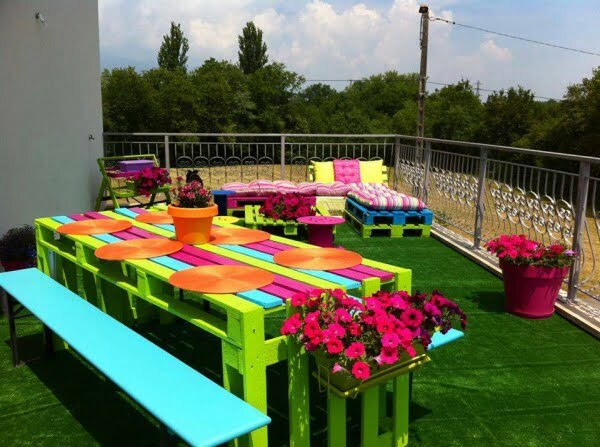 A great idea on how to build a modern picnic table the easy way. Follow the video tutorial to learn how to do it. 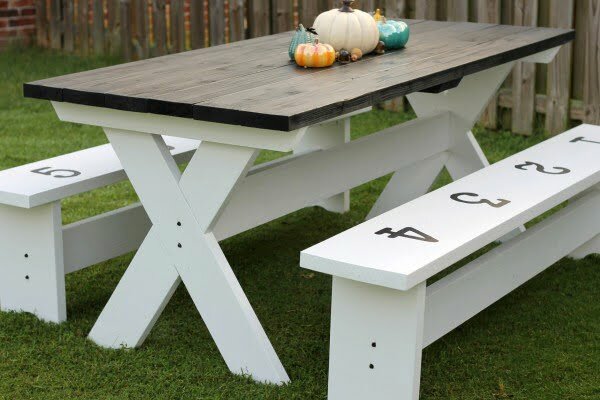 Step by step DIY instructions for how to build an adult-sized picnic table that you can add to your playground or other play space. Follow the link to see the full details. 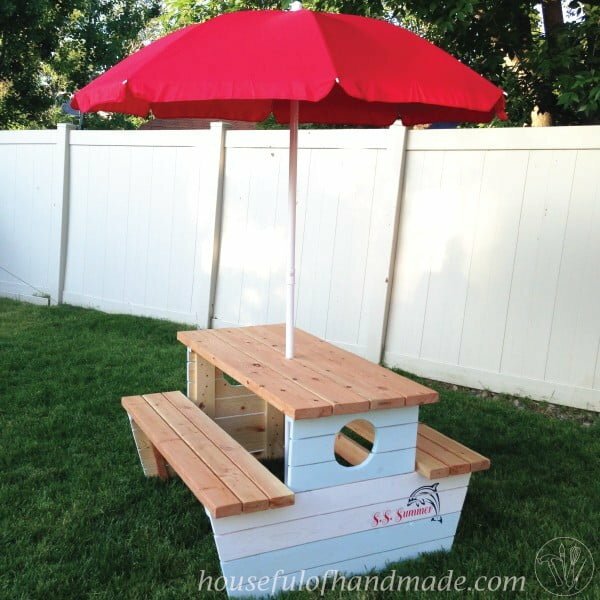 A picture tutorial with plans to help you build your own nautical kids’ picnic table. The picnic table has been sized to fit bigger kids or even a small adult. See the tutorial to see the complete details and instructions. How to build a foldable picnic table for kids for a budget project. See this website to see the entire plans and instructions. 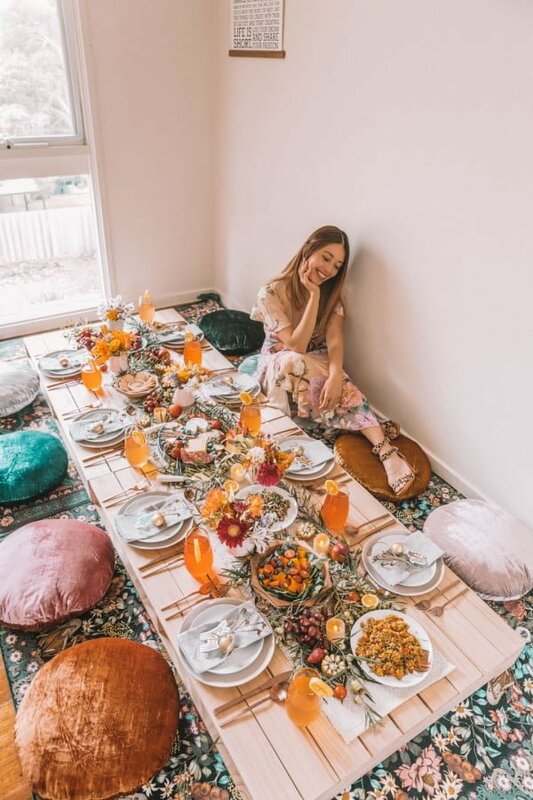 Tips on how to build a DIY kids picnic table and paint the tabletop with a fun geometric pattern using a paint sprayer. Read the article for the entire details and instructions. 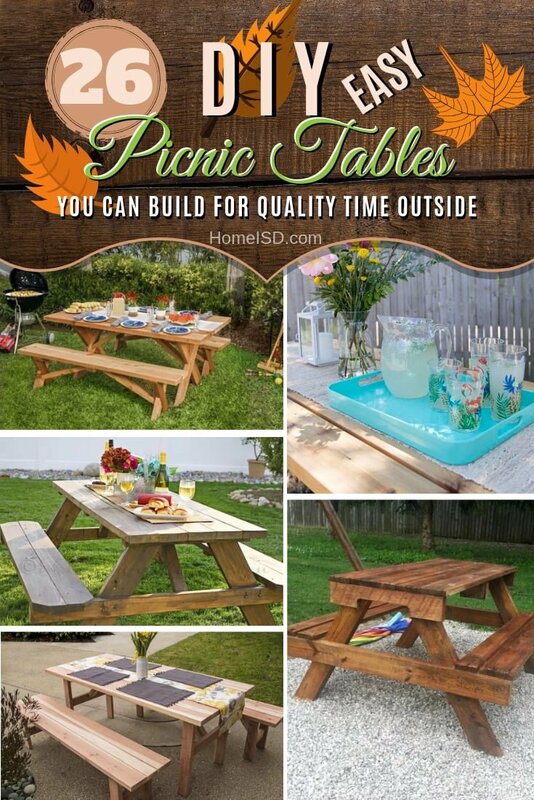 This is a terrific idea on how to build a boho pallet picnic table for an easy project. See the article to find out how it’s done. 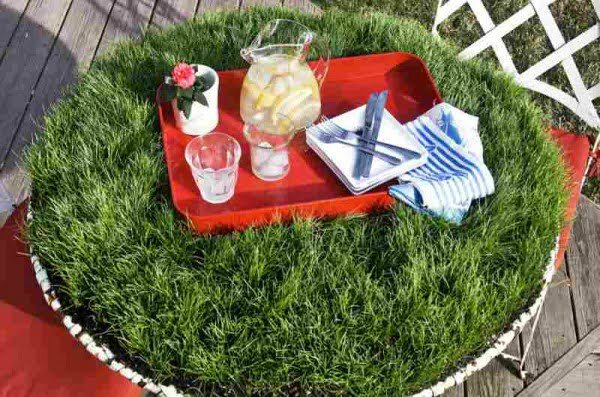 Every picnic can be on a carpet of fresh green grass with this DIY picnic table project. See this website for complete guidance and instructions. 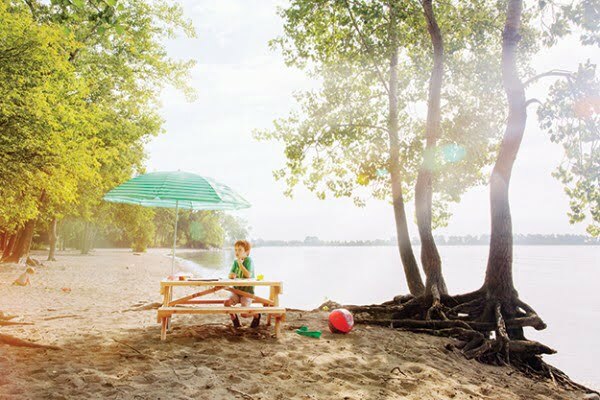 Building your own kid’s picnic table is easy-to-do if you have the right tools. Following Ana White’s plans, Miranda gives you a step-by-step guide. Check out the tutorial to find out how it’s done. 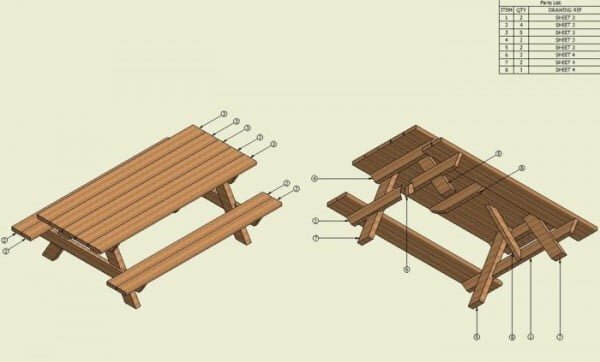 Use this step-by-step guide to build your DIY picnic table. 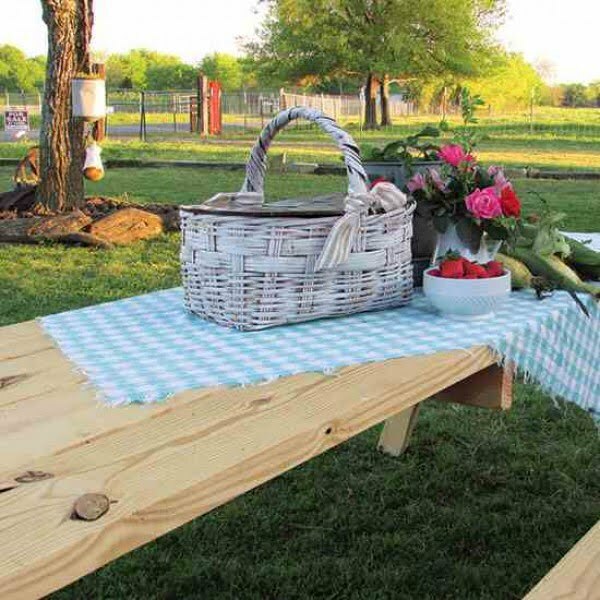 Learn how to create a picnic table your family will enjoy for years. Read the tutorial to see the complete details and instructions. One of life’s pleasures is going outdoors when the weather is pleasant. Whether you plan on sitting in the shade or having a picnic, having a sturdy table helps. Building a good table is relatively straightforward. See this website to find out how it’s done. 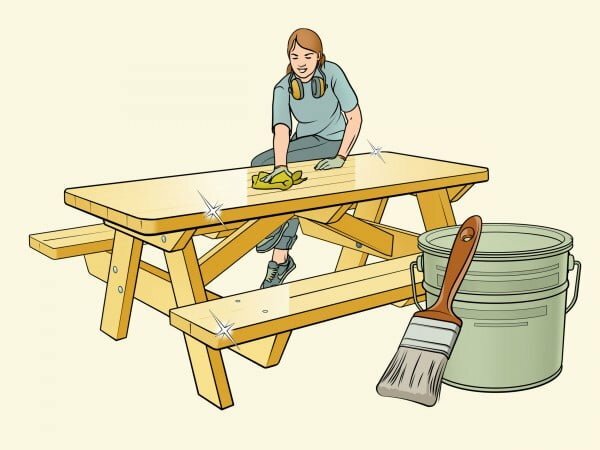 Here are step-by-step instructions on how to construct a beautiful picnic table with a bench that you can proudly use with your friends and family. Follow the link to see the entire plans and instructions. Build this double function combo to enjoy your picnic time. Check out the article to see the full details and instructions. 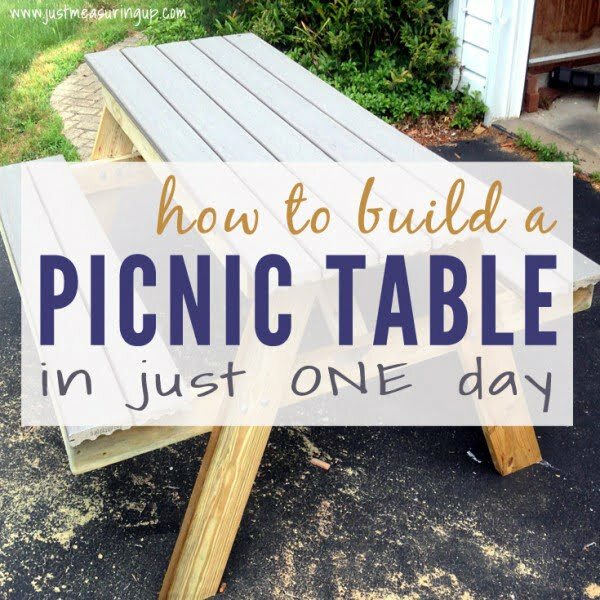 Build this fantastic DIY farm style picnic table using the plans on a budget. See the link to learn how it’s done. How to make an easy DIY Picnic Table to enjoy in your backyard for spring, summer, and fall. Check out this website for the full guidance and instructions. 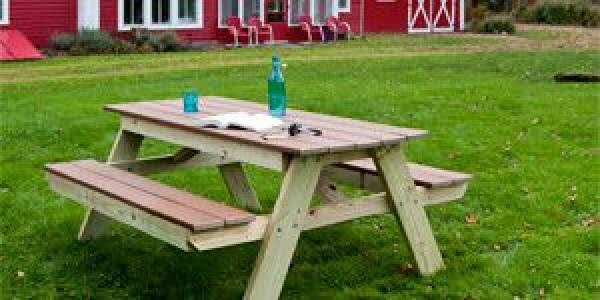 Learn how to build your very own DIY picnic table with this helpful how-to video and blog post guide. Follow the article for the complete details and instructions. Want to add some farmhouse charm to your outdoor space? 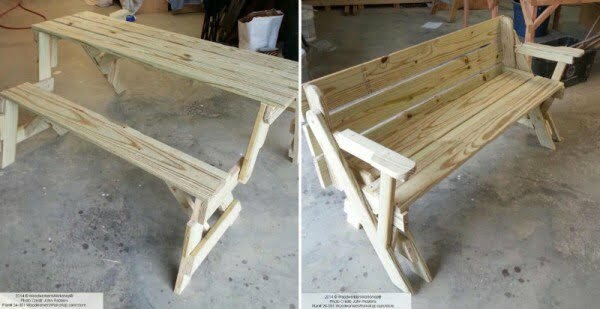 Learn how to build a picnic table with benches for under $150. Read this website to find out how it’s done.